AXJO Group is a growing company within packaging for the cable and fiber industry with 5 wholly and partly owned subsidiaries; Axjo Plastic AB, Axjo America Inc., ERS Group, Windak Group, Reelab AB, all based in Gislaved. The group together offers unique overall solutions with focus on innovation, efficiency and sustainability. The business started in 1945 and currently has 154 employees distributed in 5 countries and a turnover of approximately 370 M SEK. Please read more at www.axjo.com and www.windakgroup.com. by Axjo to act even stronger as an actor in the market and to offer an innovative comprehensive solution for customers. Through this acquisition, parts of the organization are moved to Gislaved / Anderstorp and build a brand new production facility locally. Windak also has production in Estonia and sales organizations operating in the US and Australia. You are welcomed into a group with an exciting growth trip in front of you. 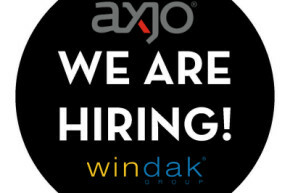 As Finance Manager for Windak Group, it is initially important to set up procedures and formulas the structure for effective cooperation and reporting to the parent company Axjo. In this role, you have overall responsibility for the financial management functions of the entire Windak Group and you participate in both management and board where you provide important financial information. Your location is in Gislaved at Axjo's headquarters where you work closely with the CFO for Axjo and get support in the ongoing work of financial assistant. Liquidity planning in Windak AB and Group. We would like to see you are a civil engineer and / or have a number of years of experience from a similar role. We appreciate your interests and knowledge in the technical field associated with production economics. The international character of the service requires good knowledge of English. You are used to working independently with a flexible approach, where continuous improvements are important. You enjoy a role that requires great initiative and you are used to working purposefully and structured. In meeting with others, you are prestigious and we value a careful and service-oriented way of working both with internal and external contacts. You have a good habit of working in business systems and in Office programs. In this recruitment, Windak AB cooperates with Finnveden Säljkraft AB. Responsible recruits are Sanna Thituson, 073-425 51 11 and Anna Andersson 072-549 03 00. Apply and read more at www.finnvedensaljkraft.se. The closing date is 23 September 2018.